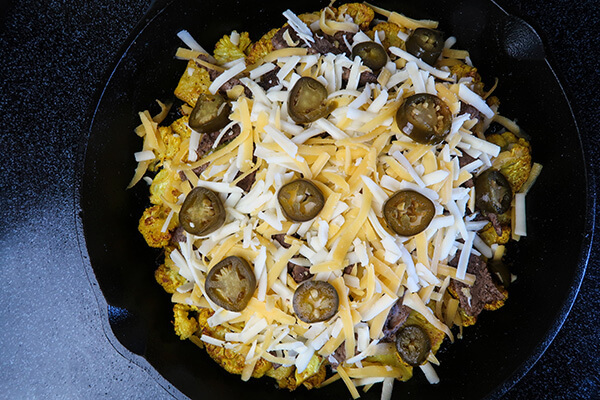 This nacho steak skillet features roasted cauliflower, thin sliced steak, cheese, and lots of fun nacho toppings. 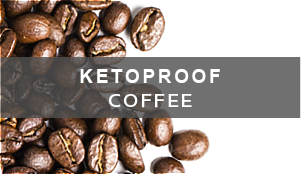 I think this qualifies as keto comfort food! You can serve this at the family dinner table and let everyone fix up their bowls however they like. 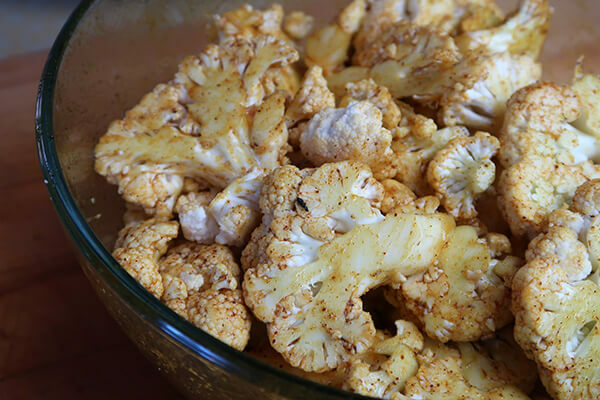 Another option for this recipe is to leave the cauliflower on the sheet pan and just top everything there. I like the presentation of the skillet, but it’s really up to you. 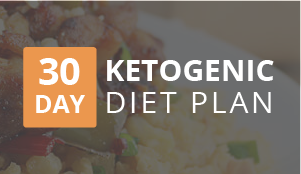 If you don’t like spicy foods then be sure to skip the jalapeño slices. I included an avocado to make a quick guacamole with. We have two recipes for guacamole that you might like. 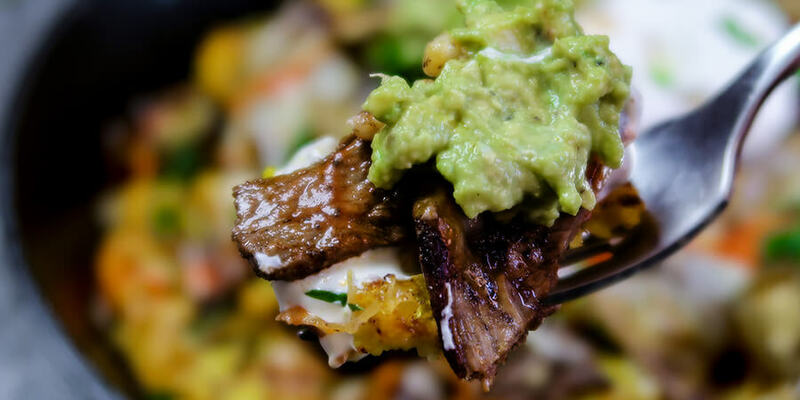 The first is a classic guacamole with traditional style ingredients, and the second is a bacon and roasted garlic guacamole that are sure to impress! *The packages at my grocery are a little over a pound. I cook all of the steak and then weigh out what I need after it’s done. 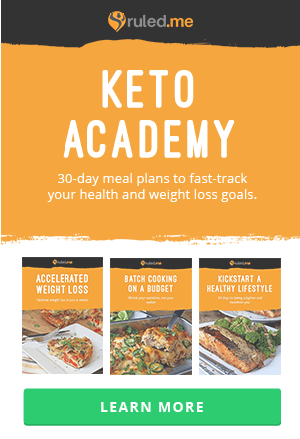 You can save the rest for another meal, perhaps on top of a salad later that week. 1. Preheat your oven to 400°F. 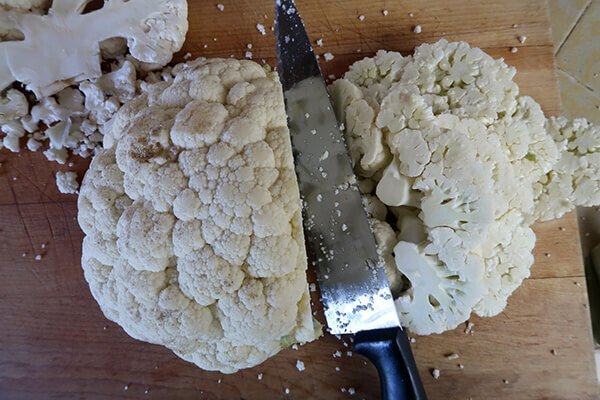 Remove the leaves and bottom of stem from your cauliflower. Slice the cauliflower across the head. It will break up into chip-like shapes. 2. In the bottom of a large mixing bowl whisk together the coconut oil, chili powder, and turmeric. Add the cauliflower and gently toss until it’s all evenly coated. 3. 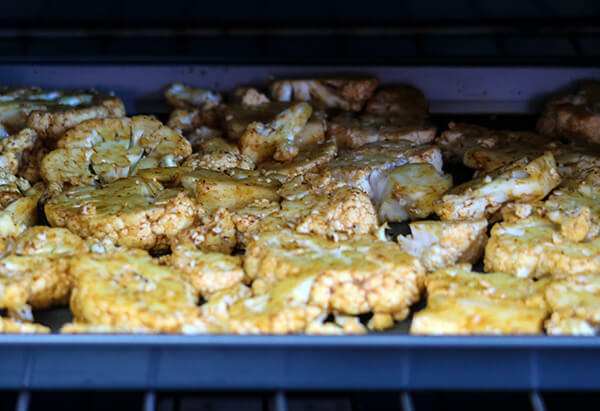 Spread the cauliflower out on a baking sheet. Season well with salt and pepper. Roast for 20-25 minutes. 4. While the cauliflower is roasting you can get the rest of the toppings ready. Preheat a cast iron skillet on medium-high heat. 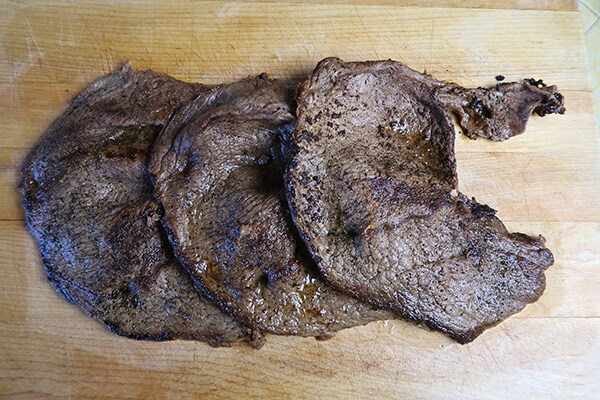 Liberally season both sides of your steak with salt and pepper. Add the butter to the skillet and let it melt. 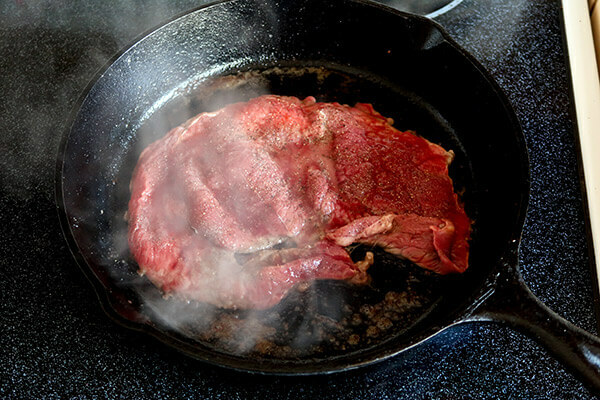 Once the butter stops foaming then lay the steak down into the pan. Cook without disturbing until it begins to cook through. Flip to cook the other side then remove from the pan. 5. 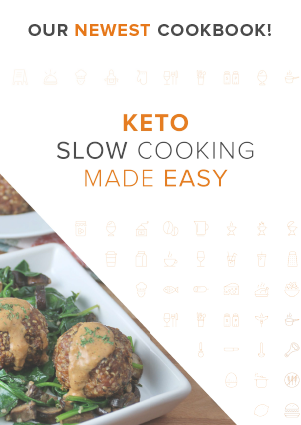 Allow to rest for 5-10 minutes. 6. 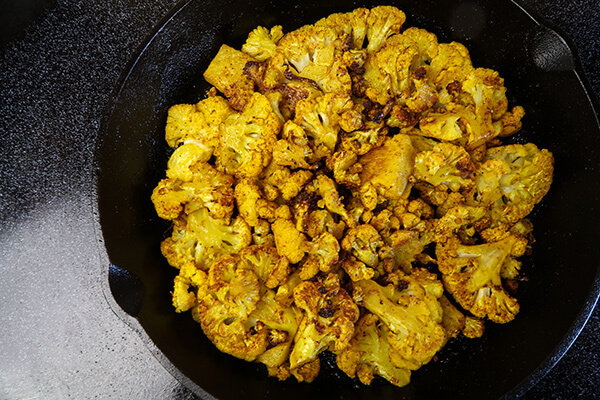 Once the cauliflower is done, remove it from the oven and transfer the florets to your cast iron pan. 7. 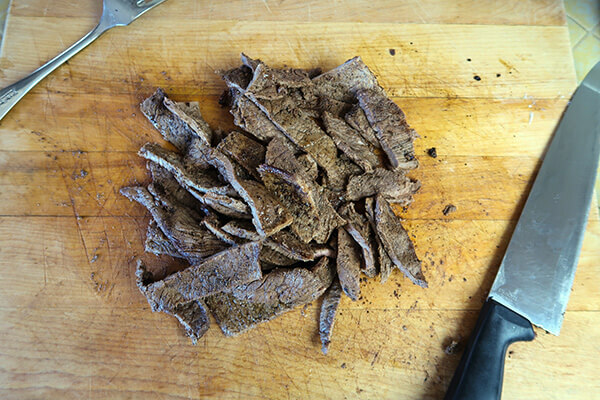 Slice up the steak into fork sized strips. 8. 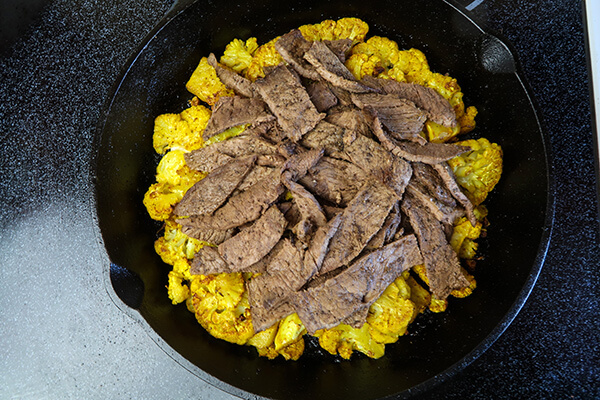 Top the cauliflower with the steak. 9. 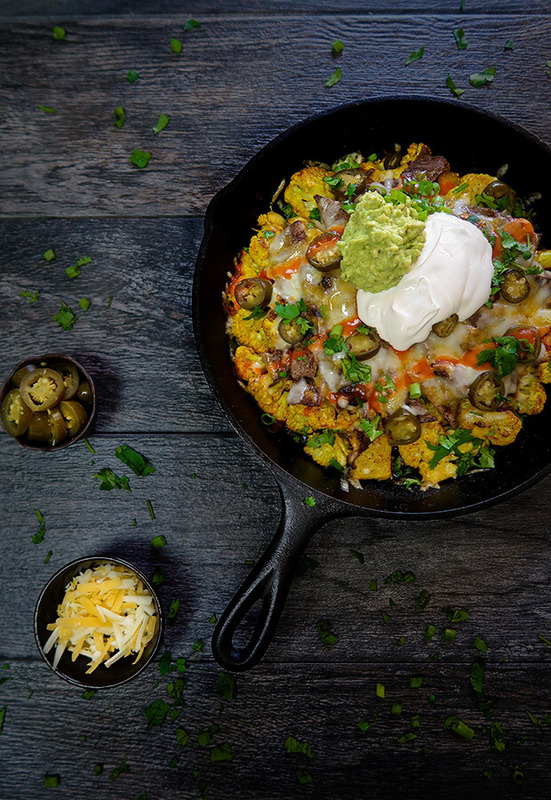 Top the skillet with both shredded cheeses and the jalapeño slices. Bake for another 5-10 minutes, until the cheese has melted. 10. 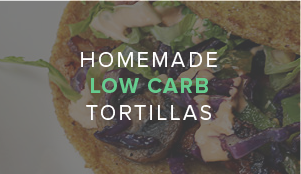 Serve with sour cream, guacamole, and hot sauce. You can garnish with cilantro and slices of green onion if you desire. 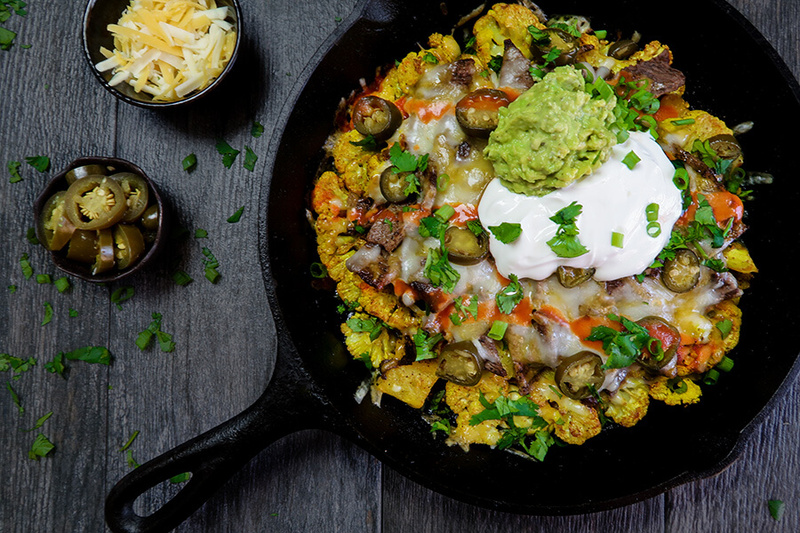 This makes a total of 5 servings of Nacho Steak Skillet. 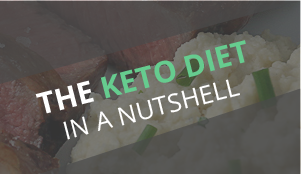 Each serving comes out to be 385.4 Calories, 30.67g Fats, 5.9g Net Carbs, and 18.87g Protein. The packages at my grocery are a little over a pound. I cook all of the steak and then weigh out what I need after it's done. 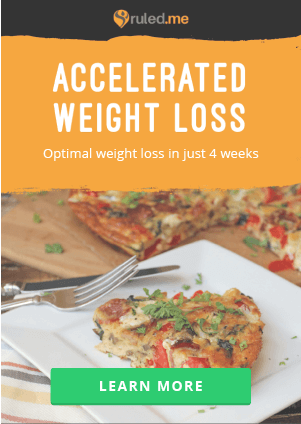 You can save the rest for another meal, perhaps on top of a salad later that week.